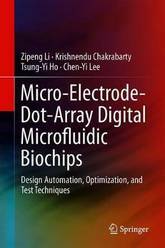 This book provides an insightful guide to the design, testing and optimization of micro-electrode-dot-array (MEDA) digital microfluidic biochips. The authors focus on the characteristics specific for MEDA biochips, e.g., real-time sensing and advanced microfluidic operations like lamination mixing and droplet shape morphing. 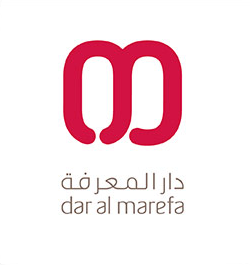 Readers will be enabled to enhance the automated design and use of MEDA and to develop a set of solutions to facilitate the full exploitation of design complexities that are possible with standard CMOS fabrication techniques. The book provides the first set of design automation and test techniques for MEDA biochips. 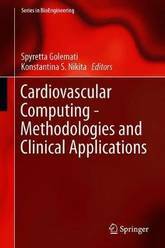 The methods described in this book have been validated using fabricated MEDA biochips in the laboratory. Readers will benefit from an in-depth look at the MEDA platform and how to combine microfluidics with software, e.g., applying biomolecular protocols to software-controlled and cyberphysical microfluidic biochips. 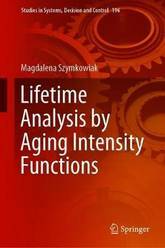 This book addresses a range of aging intensity functions, which make it possible to measure and compare aging trends for lifetime random variables. Moreover, they can be used for the characterization of lifetime distributions, also with bounded support. Stochastic orders based on the aging intensities, and their connections with some other orders, are also discussed. To demonstrate the applicability of aging intensity in reliability practice, the book analyzes both real and generated data. The estimated, properly chosen, aging intensity function is mainly recommended to identify data's lifetime distribution, and secondly, to estimate some of the parameters of the identified distribution. Both reliability researchers and practitioners will find the book a valuable guide and source of inspiration. 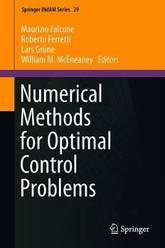 This work presents recent mathematical methods in the area of optimal control with a particular emphasis on the computational aspects and applications. Optimal control theory concerns the determination of control strategies for complex dynamical systems, in order to optimize some measure of their performance. Started in the 60's under the pressure of the space race between the US and the former USSR, the field now has a far wider scope, and embraces a variety of areas ranging from process control to traffic flow optimization, renewable resources exploitation and management of financial markets. These emerging applications require more and more efficient numerical methods for their solution, a very difficult task due the huge number of variables. 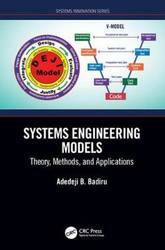 The chapters of this volume give an up-to-date presentation of several recent methods in this area including fast dynamic programming algorithms, model predictive control and max-plus techniques. This book is addressed to researchers, graduate students and applied scientists working in the area of control problems, differential games and their applications. This well-established book on injury biomechanics has been extensively revised and expanded for this new edition. It now includes a fundamental treatment of the mechanics at a cellular level, written by the new coauthor Prof. Barclay Morrison III from Columbia University. Furthermore, considerably more attention is paid to computer modeling, and in particular modeling the human body. The book addresses a wide range of topics in injury biomechanics, including anatomy, injury classification, injury mechanisms, and injury criteria. Further, it provides essential information on regional injury reference values, or injury criteria, that are either currently in use or proposed by both US and European communities. 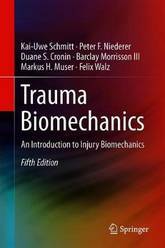 Although the book is intended as an introduction for doctors and engineers who are newcomers to the field of injury biomechanics, sufficient references are provided for those who wish to conduct further research, and even established researchers will find it useful as a reference guide to the biomechanical background of each proposed injury mechanism and injury criterion. This book provides an introduction to qualitative and quantitative aspects of human physiology. It looks at biological and physiological processes and phenomena, including a selection of mathematical models, showing how physiological problems can be mathematically formulated and studied. 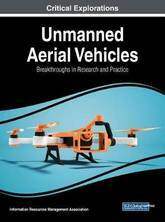 It also illustrates how a wide range of engineering and physics topics, including electronics, fluid dynamics, solid mechanics and control theory can be used to describe and understand physiological processes and systems. Throughout the text there are introductions to measuring and quantifying physiological processes using both signal and imaging technologies. 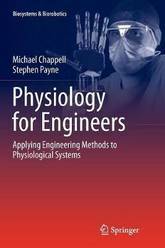 Physiology for Engineers describes the basic structure and models of cellular systems, the structure and function of the cardiovascular system, the electrical and mechanical activity of the heart and provides an overview of the structure and function of the respiratory and nervous systems. It also includes an introduction to the basic concepts and applications of reaction kinetics, pharmacokinetic modelling and tracer kinetics. It is of interest to final year biomedical engineering undergraduates and graduate students alike, as well as to practising engineers new to the fields of bioengineering or medical physics. 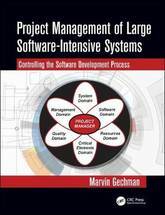 The book describes how to manage and successfully deliver large, complex, and expensive systems that can be composed of millions of line of software code, being developed by numerous groups throughout the globe, that interface with many hardware items being developed by geographically dispersed companies, where the system also includes people, policies, constraints, regulations, and a myriad of other factors. It focuses on how to seamlessly integrate systems, satisfy the customer's requirements, and deliver within the budget and on time. The guide is essentially a shopping list of all the activities that could be conducted with tailoring guidelines to meet the needs of each project. The inelastic response and residual mechanical properties acquired from most shock compressed solids are quite different from those acquired from quasi-static or moderate strain rates. For instance, the residual hardness of many shock compressed metals has been found to be considerably lower than those loaded under quasi-static conditions to the same maximum stress. However, the residual hardness of shock compressed metals is much higher than those loaded quasi-statically to the same total strain. These observations suggest that the deformation mechanisms active during inelastic deformation under shock compression and quasi-static or moderate rates may be quite different. 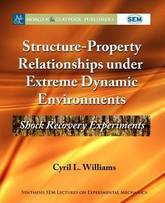 Therefore, the primary objective of this short book is to offer the reader a concise introduction on the Structure-Property Relationships concerning shock compressed metals and metallic alloys via shock recovery experiments. The first phase of the book, chapters 1 through 3 provides a brief historical perspective on the structure-property relationships as it pertains to shock compression science, then plastic deformation in shock compressed metals and metallic alloys is described in terms of deformation slip, deformation twinning, and their consequences to spall failure. Existing knowledge gaps and limitations on shock recovery experiments are also discussed. The fundamentals of shock wave propagation in condensed media are presented through the formation and stability of shock waves, then how they are treated using the Rankine-Hugoniot jump relations derived from the conservation of mass, momentum, and energy. The equation of states which govern the thermodynamic transition of a material from the unshock state to the shock state is briefly described and the elastic-plastic behavior of shock compressed solids is presented at the back end of the first phase of this book. The second phase of the book describes the geometry and design of shock recovery experiments using explosives, gas and powder guns. Then results derived from the residual mechanical properties, microstructure changes, and spall failure mechanisms in shock compressed metals and metallic alloys with FCC, BCC, and HCP crystal lattice structures are presented. Also, results on the residual microstructure of explosively compacted powders and powder mixtures are presented. Lastly, the book closes with the new frontiers in shock recovery experiments based on novel materials, novel microscopes, novel mechanical processing techniques, and novel time-resolved in-situ XRD shock experiments. 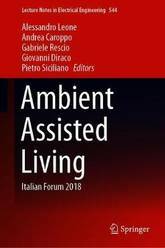 This book documents the state of the art in the field of ambient assisted living (AAL), highlighting the impressive potential of novel methodologies and technologies to enhance well-being and promote active ageing. The coverage is wide ranging, with sections on care models and algorithms, enabling technologies and assistive solutions, elderly people monitoring, home rehabilitation, ICT solutions for AAL, living with chronic conditions, robotic assistance for the elderly, sensing technologies for AAL, and smart housing. 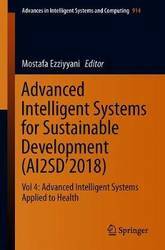 The book comprises a selection of the best papers presented at the 9th Italian Forum on Ambient Assisted Living (ForitAAL 2018), which was held in Lecce, Italy, in July 2018 and brought together end users, technology teams, and policy makers to develop a consensus on how to improve provision for elderly and impaired people. Readers will find that the expert contributions offer clear insights into the ways in which the most recent exciting advances may be expected to assist in addressing the needs of the elderly and those with chronic conditions. A Relaxation Based Approach to Optimal Control of Hybrid and Switched Systems proposes a unified approach to effective and numerically tractable relaxation schemes for optimal control problems of hybrid and switched systems. The book gives an overview of the existing (conventional and newly developed) relaxation techniques associated with the conventional systems described by ordinary differential equations. Next, it constructs a self-contained relaxation theory for optimal control processes governed by various types (sub-classes) of general hybrid and switched systems. 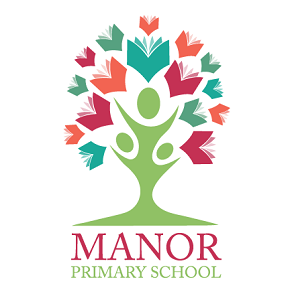 It contains all mathematical tools necessary for an adequate understanding and using of the sophisticated relaxation techniques. 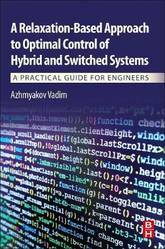 In addition, readers will find many practically oriented optimal control problems related to the new class of dynamic systems. All in all, the book follows engineering and numerical concepts. However, it can also be considered as a mathematical compendium that contains the necessary formal results and important algorithms related to the modern relaxation theory. 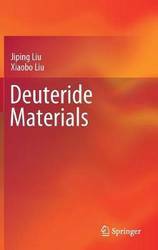 This is the very first book that offers an up-to-date and comprehensive overview on deuteride. It not only includes the concept, existing forms, key characteristics, but also reviews the preparation and characterization technologies and the latest research developments of deuteride. The special properties such as the nuclear properties, isotropic and neutron effect, poisonousness, radioactivity, volume expansion are systematically discussed to build up the sound understanding of the materials. In particular, this work reviews a number of commercial and scientific uses of the materials including nuclear reactors, NMR spectroscopy and medicines. Researchers and industrial professionals in medicine, chemistry, biochemistry, environmental sciences and defense sciences will benefit from this work. This book highlights the recent advances of thermodynamics and biophysics in drug delivery nanosystems and in biomedical nanodevices. The up-to-date book provides an in-depth knowledge of bio-inspired nanotechnological systems for pharmaceutical applications. Biophysics and thermodynamics, supported by mathematics, are the locomotive by which the drug transportation and the targeting processes will be achieved under the light of the modern pharmacotherapy. They are considered as scientific tools that promote the understanding of physicochemical and thermotropic functionality and behavior of artificial cell membranes and structures like nanoparticulate systems. 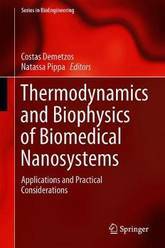 Therefore, this book focusses on new aspects of biophysics and thermodynamics as important elements for evaluating biomedical nanosystems, and it correlates their physicochemical, biophysical and thermodynamical behaviour with those of a living organism. In 2018, Prof. Demetzos was honored with an award by the Order of Sciences of the Academy of Athens for his scientific contribution in Pharmaceutical Nanotechnology. 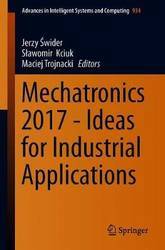 This book is devoted to the latest research results obtained by scientists and practitioners, who work on the development and applications of mechatronics, in particular in industrial practice. 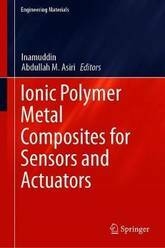 The topics included in the book cover such areas and issues as: measurement techniques in phenomena and mechatronic problems, robotics and design of mechatronic systems, research and application of mechatronics in medicine and sports, modern applications of mechatronics in rapidly changing modern mining, which puts strict demands on safety of people and the environment, application of mechatronics in the automotive industry in the design and production process of modern cars, defense technologies, extremely demanding aerospace industry, contemporary food industry, as well as didactics of mechatronics lead at different universities in the paradigm of Industry 4.0. 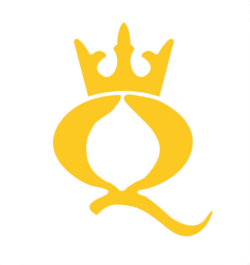 In an increasingly complex, competitive, and global world, organizations require highly skilled professionals who have the capacity to proactively answer challenges. Thus, educational institutions must update the curricula of their courses to better contribute to the training and development of professionals in order to ensure that they are prepared to face increasing levels of organizational competitiveness. 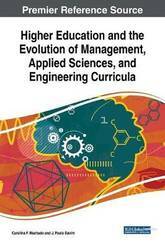 Higher Education and the Evolution of Management, Applied Sciences, and Engineering Curricula is a collection of innovative research that fosters discussion on the evolution of higher-education in management, applied sciences, and engineering with an emphasis on curriculum development, pedagogy, didactic aspects, and sustainable education. This publication presents models, theories, and tools that allow individuals to take a more strategic role in their organizations. 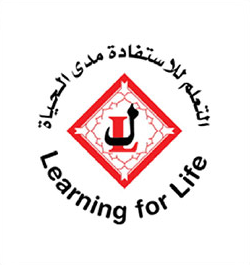 It is ideally designed for managers, engineers, human resource officials, academicians, researchers, administrators, and lecturers. 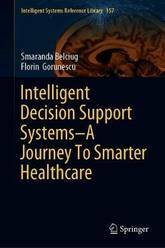 The goal of this book is to provide, in a friendly and refreshing manner, both theoretical concepts and practical techniques for the important and exciting field of Artificial Intelligence that can be directly applied to real-world healthcare problems. Healthcare - the final frontier. Lately, it seems like Pandora opened the box and evil was released into the world. Fortunately, there was one thing left in the box: hope. In recent decades, hope has been increasingly represented by Intelligent Decision Support Systems. Their continuing mission: to explore strange new diseases, to seek out new treatments and drugs, and to intelligently manage healthcare resources and patients. Hence, this book is designed for all those who wish to learn how to explore, analyze and find new solutions for the most challenging domain of all time: healthcare. Biomechanical engineering is involved with creating and producing a variety of products in everyday use, from environmentally safe plastics to various foods, fabrics, and medicines. A combination of engineering and biology, it is a fast-growing field with many new and exciting opportunities in genetic engineering and biotechnology. However, research surrounding biomechanical applications is scattered and often restricted, leading to the need for a comprehensive publication of the recent advances and developments in this emerging field. 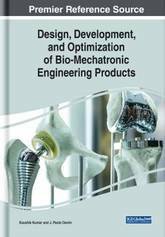 Design, Development, and Optimization of Bio-Mechatronic Engineering Products provides pivotal research on the application of combining mechanical engineering with human biological systems in order to develop bio-mechatronic products like pacemakers, artificial kidney replacements, artificial hearts, and new joints or limbs to better and more accurately monitor and advance human health. While highlighting topics such as orthotic devices, inter-electrode gap, and biomaterial applications, this publication explores producing artificial material to work in sync with the human body. This book is ideally designed for engineers, health professionals, technology developers, researchers, academicians, and students. 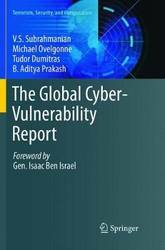 This comprehensive text/reference presents an in-depth review of the state of the art of automotive connectivity and cybersecurity with regard to trends, technologies, innovations, and applications. The text describes the challenges of the global automotive market, clearly showing where the multitude of innovative activities fit within the overall effort of cutting-edge automotive innovations, and provides an ideal framework for understanding the complexity of automotive connectivity and cybersecurity. 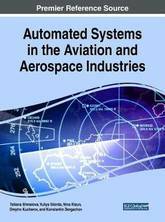 Topics and features: discusses the automotive market, automotive research and development, and automotive electrical/electronic and software technology; examines connected cars and autonomous vehicles, and methodological approaches to cybersecurity to avoid cyber-attacks against vehicles; provides an overview on the automotive industry that introduces the trends driving the automotive industry towards smart mobility and autonomous driving; reviews automotive research and development, offering background on the complexity involved in developing new vehicle models; describes the technologies essential for the evolution of connected cars, such as cyber-physical systems and the Internet of Things; presents case studies on Car2Go and car sharing, car hailing and ridesharing, connected parking, and advanced driver assistance systems; includes review questions and exercises at the end of each chapter. 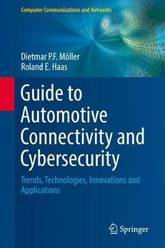 The insights offered by this practical guide will be of great value to graduate students, academic researchers and professionals in industry seeking to learn about the advanced methodologies in automotive connectivity and cybersecurity. This book presents a comprehensive review of the latest advances in developing alginate-based biomaterials and derivatives as well as their biomedical and pharmaceutical applications. It covers the physiochemical properties of alginates, production and formulation methods, derivatizations and characterization methods, the fundamental work on optimizing alginate polymers for defined biomedical purposes as well as the scope and effectiveness of their applications in medicine and therapeutic approaches. 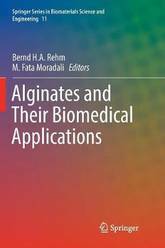 The book brings together new concepts and advances in harnessing alginate-based biomaterials in combination with applied technological advances to tailor their applications to medical needs. The contributions by leading academics, clinicians and researchers not only cover the fundamentals, but also open new avenues for meeting future challenges in research and clinical applications. 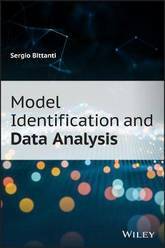 This book discusses the problems of complexity in industrial data, including the problems of data sources, causes and types of data uncertainty, and methods of data preparation for further reasoning in engineering practice. Each data source has its own specificity, and a characteristic property of industrial data is its high degree of uncertainty. 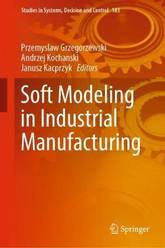 The book also explores a wide spectrum of soft modeling methods with illustrations pertaining to specific cases from diverse industrial processes. In soft modeling the physical nature of phenomena may not be known and may not be taken into consideration. Soft models usually employ simplified mathematical equations derived directly from the data obtained as observations or measurements of the given system. Although soft models may not explain the nature of the phenomenon or system under study, they usually point to its significant features or properties. 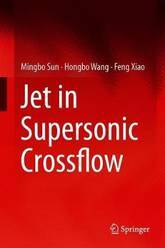 Based on research into jets in supersonic crossflow carried out by the authors' team over the past 15 years, this book summarizes and presents many cutting-edge findings and analyses on this subject. It tackles the complicated mixing process of gas jets and atomization process of liquid jets in supersonic crossflow, and studies their physical mechanisms. Advanced experimental and numerical techniques are applied to further readers' understanding of atomization, mixing, and combustion of fuel jets in supersonic crossflow, which can promote superior fuel injection design in scramjet engines. The book offers a valuable reference guide for all researchers and engineers working on the design of scramjet engines, and will also benefit graduate students majoring in aeronautical and aerospace engineering. Carbon nanomaterials have gained relevance in chem/bio sensing applications owing to their unique chemical, mechanical, electrical, and thermal characteristics. Written by leading experts in the field, this book discusses selected, state-of-the art carbon-based nanomaterials, including nanodiamonds, graphene nanodots, carbon nanopores, and nanocellulose. 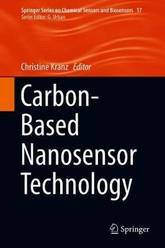 It presents examples of chem/bio sensing applications ranging from biomedical studies, such as DNA sequencing and neurotransmitter sensing, to heavy-metal detection in environmental monitoring scenarios, and reviews the unique properties of carbon-based nanomaterials with respect to targeted sensing applications. 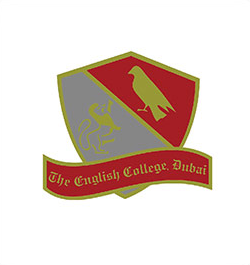 Further, it highlights exciting future applications. Providing comprehensive information for practitioners and scientists working in the field of carbon nanomaterial technologies and their application, it is also a valuable resource for advanced students of analytical chemistry, biochemistry, electrochemistry, materials science, and micro-/nanotechnology and -sensing. 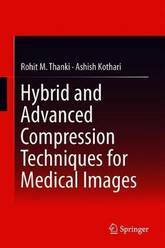 This book introduces advanced and hybrid compression techniques specifically used for medical images. 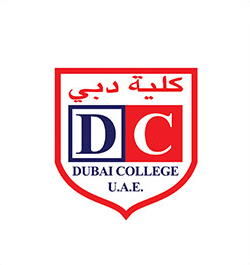 The book discusses conventional compression and compressive sensing (CS) theory based approaches that are designed and implemented using various image transforms, such as: Discrete Fourier Transform (DFT), Discrete Cosine Transform (DCT), Discrete Wavelet Transform (DWT), and Singular Value Decomposition (SVD) and greedy based recovery algorithm. The authors show how these techniques provide simulation results of various compression techniques for different types of medical images, such as MRI, CT, US, and x-ray images. Future research directions are provided for medical imaging science. The book will be a welcomed reference for engineers, clinicians, and research students working with medical image compression in the biomedical imaging field. Covers various algorithms for data compression and medical image compression; Provides simulation results of compression algorithms for different types of medical images; Provides study of compressive sensing theory for compression of medical images.